Big Baller Brand. BBB. The Ball Brothers. The Ball Family. There is an old adage that says in order to do big things you have to first visualize yourself doing big things. The path always taken is not always the right path. There are many different ways to get to an intended destination. 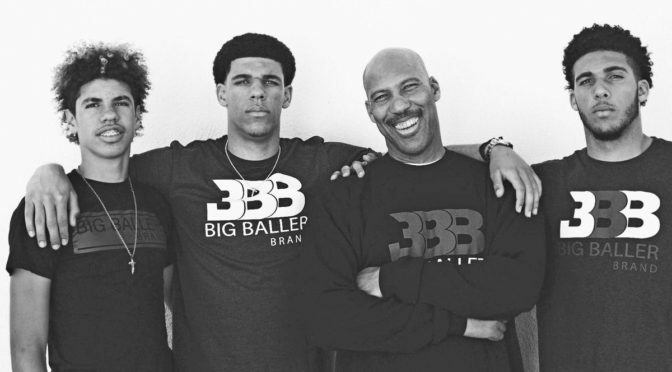 Lavar Ball has had a vision for his sons every since they were old enough to hold a basketball and understand that the game of basketball is something that they wanted to do with their lives. Love Mr. Ball or hate him, you must respect him for number one, his love and belief in his sons ability to play the game of basketball and number two his frame of mind to own rather than be owned. 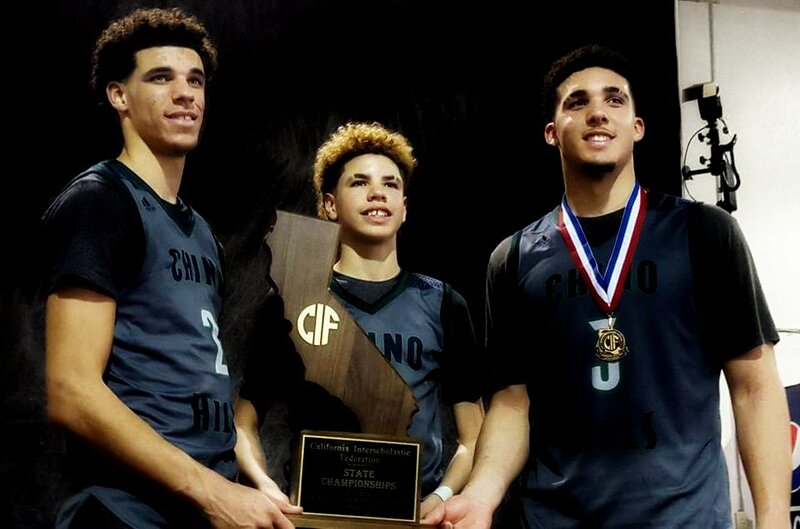 Lavar’s three sons Lonzo, LaMelo and LiAngelo have all made waves in recent years through their on court exploits in Chino Hills, California. Through the AAU circuit playing ball for their father and by also playing collectively at Chino Hills High School, each Ball brother has created their unique intrigue for the media, analysts and fans to become enamored and consumed with in today’s world of basketball. 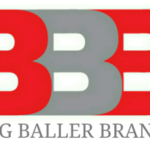 Lavar Ball has not only sought to making sure his kids are in a position to be successful on the basketball court; he has fully embraced the opportunity to create a platform for success off the court with the creation and launching of the Big Baller Brand. 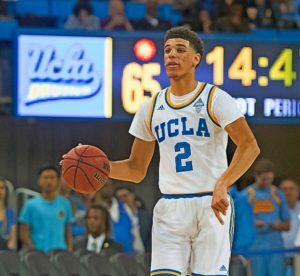 Lonzo Ball, the oldest of the Ball brothers recently completed his one and only season of collegiate basketball at UCLA before deciding to take his talents to the NBA. A sure lottery pick, the opportunity to turn pro is essentially what Lonzo has worked for his entire life and what Lavar has primed him for as not only a coach, but a father. Anytime a player declares for the draft, particularly the NBA Draft, a multitude of opportunities comes his way. Endorsement opportunities from all walks of life present themselves to the next potential NBA superstar. The one constant in recent years has been the signature shoe deal for NBA Draftees. The shoes companies which have consistently been involved with professional basketball over the years (Nike, Reebok, Converse, Adidas and most recently Under Armour) have had a stranglehold over the top talents which have entered the Association. The magic of Lavar Ball is that he totally understood the value which his son(s) not only would have to one of the aforementioned shoe companies but he also understood the value each of them could potentially have to themselves. 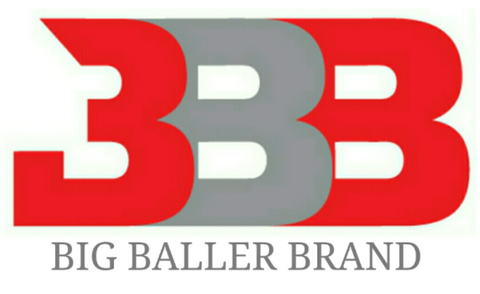 Enter Big Baller Brand. NEVER has there been a player in any sport that entered the professional ranks with their own brand of athletic shoes and athletic apparel. The greatest athletes of all time which have had their own signature shoe had the rights of their shoe owned by a corporation which dictated essentially everything pertaining to the shoe. Sure some input was allowed from the athlete but in most cases a design team was put in place to put together the shoe, the marketing plan for the shoe and most importantly the price of the shoe. Lavar Ball has to be celebrated for the fact that he understands the dynamics which factor into the shoe game and how corporations marginalize the person which has the signature shoe while maximizing the profit that comes from that same shoe.The Ball brothers and their father Lavar have been the victims of extreme ridicule and hate for being visionaries and game changers with ambitions as they have launched their own athletic brand. There are no rules which says a person has to follow the norm; conformity is what hinders not only people but ideas and in the world of business ideas and growth it is what creates dollars and cents. 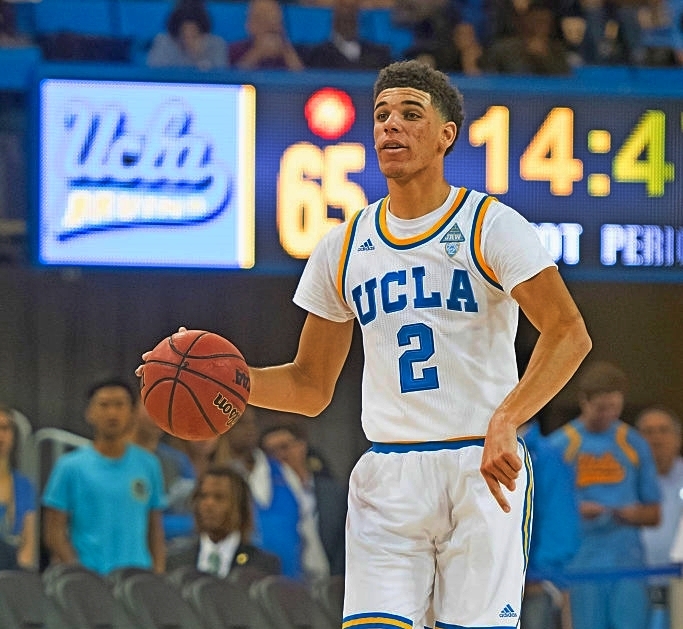 Lonzo Ball is a potential top three pick in the 2017 NBA Draft and with that stamp shoe companies began clamoring after his signature once he declared for the draft. 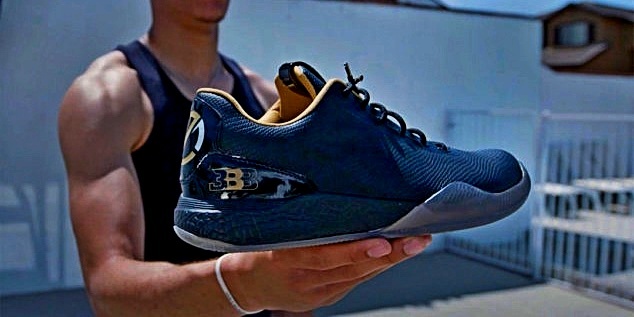 The genius of Lavar coupled with the design of the “ZO2” by Lonzo shook the entire shoe world; this happened because many looked at them as “How dare they create something on their own and not do what everybody else is doing” and then the price tag of $495.00 also created other discussions amongst people. So many people have been quick to say “he hasn’t proven himself” and that the price is “ridiculous” but the real question is who are these people to make these statements? So many people in the world (particularly the United States of America) get so caught up in labels and what everybody else is buying, wearing and driving that they are easily influenced and see nothing else. The fact that a black man has the mind and ability to go his own route in an industry as crazed as the athletic shoe industry has infuriated so many individuals. 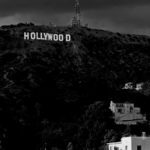 There have been countless journalists and reporters in the media that have not simply made judgements and remarks about Lavar’s Big Baller Brand, but have made personal attacks on Lavar, his family and how he parents his kids. The personal attacks on Lavar are totally unfair, yet they are not uncommon when it comes to black parents which have played a major role in their child’s development as an athlete. 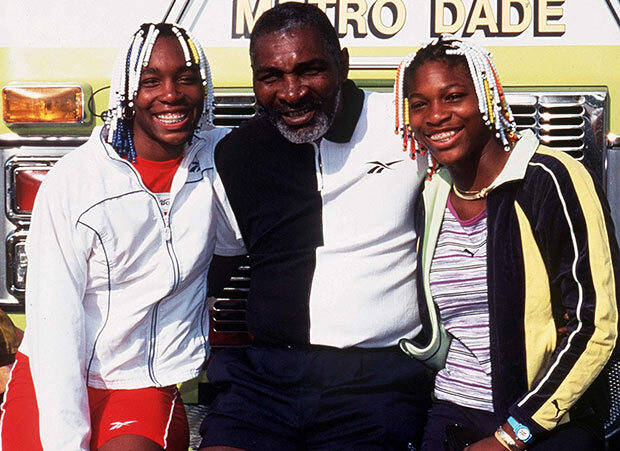 Richard Williams, the father of tennis superstars Venus and Serena Williams encountered much of the same resentment and backlash nearly twenty years ago for being a vocal father and having such a strong belief in his daughters and their athletic abilities. Lavar has taken things a step farther with the creation of an athletic line, totally disregarding what other think he should do by pursing and financing his own corporation. The investment in one’s self will determine the potential return; Nike invested $90 Million dollars in Lebron before he stepped foot on a NBA court and in the years since he signed with them has made billions of dollars in profit off of his signature to endorse the Nike brand. The money invested by the Ball family into themselves has the potential for endless financial returns. 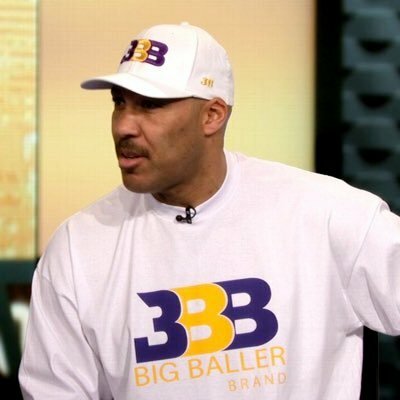 I applaud Lavar Ball for being a trendsetter within an industry which has had total control over the athletes which have propelled it to astronomical levels with not only notoriety, but also financially. The price tag of the ZO2 is what many claim to be dissatisfied about but the anger and resentment is deeper; the majority of people are upset that the Ball Family has chosen their own “LANE” to achieve success.